Tête à Tête with BelleBarcelone #14: Carme Ruscadella & Raul Balam: the successful mother and son duo! 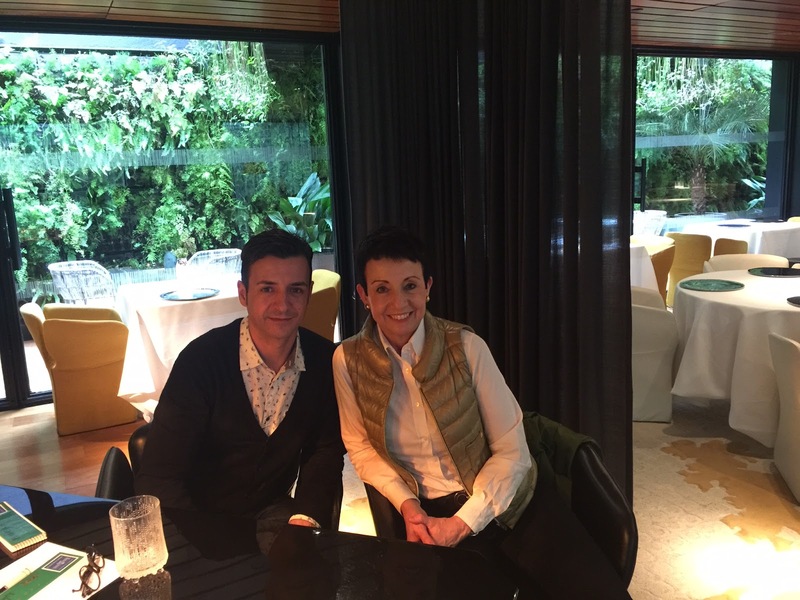 Carme Ruscadella, is the renowned chef and the woman with the most michelin stars in the world, 7 to be exact. Her life and career is very much attached to the town she was born and stays till today: Sant Pol de Mar. 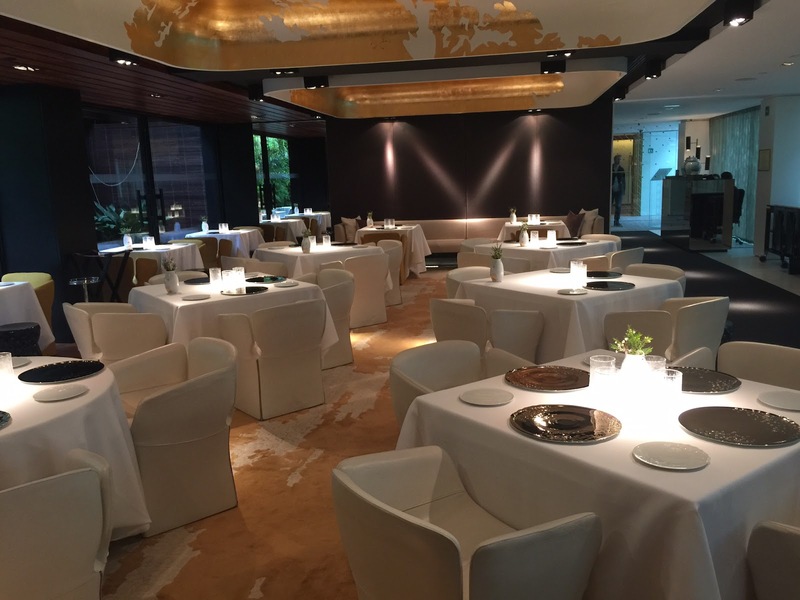 In 1988 she opened Sant Pau, and got her 1st star in 1991, she then obtained the 3rd one in 2006; she also has a Sant Pau restaurant in Tokyo with 2 stars. In 2009, her team took charge of Moments, the restaurant of the luxury Mandarin Oriental Hotel. It is headed by her son Raül Balam and herself. It now holds 2 michelin stars. I met the successful mother and son duo one Thursday morning at Moments. Carme is a lady, filled with passion and with the most contagious smile and Raul, the sweetest chef I have met till date, is respectful and peaceful yet has the dynamism you need to direct such a professional kitchen. 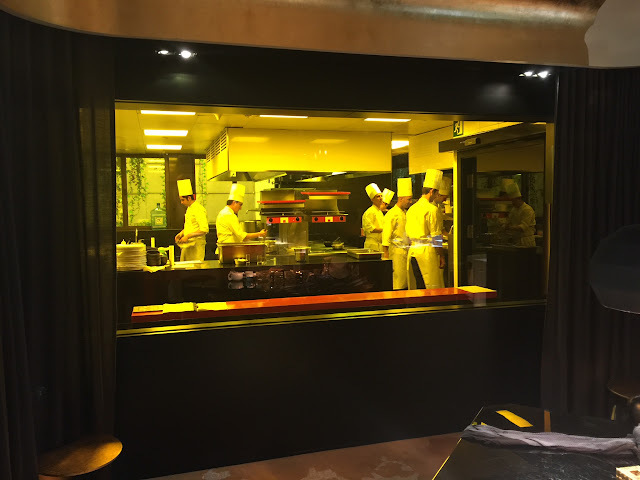 We were sitting on the chef's table which is the table just in front of the kitchen, a great way to have your fine dining while observing the action! Moments restaurant transmits an elegance and a soothing atmosphere in harmony for these chic chefs and their cuisine. 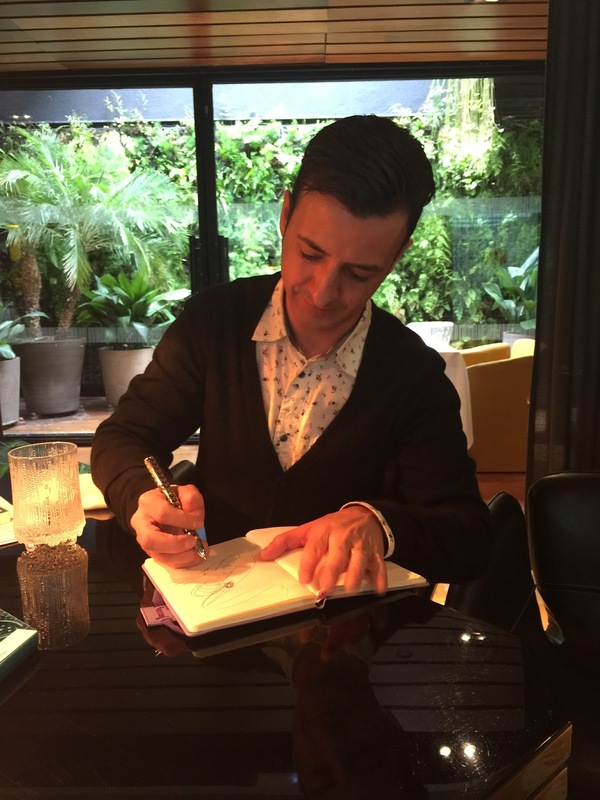 BelleBarcelone: What do you think of the evolution of the Spanish Gastronomy and the image it has outside of Spain? 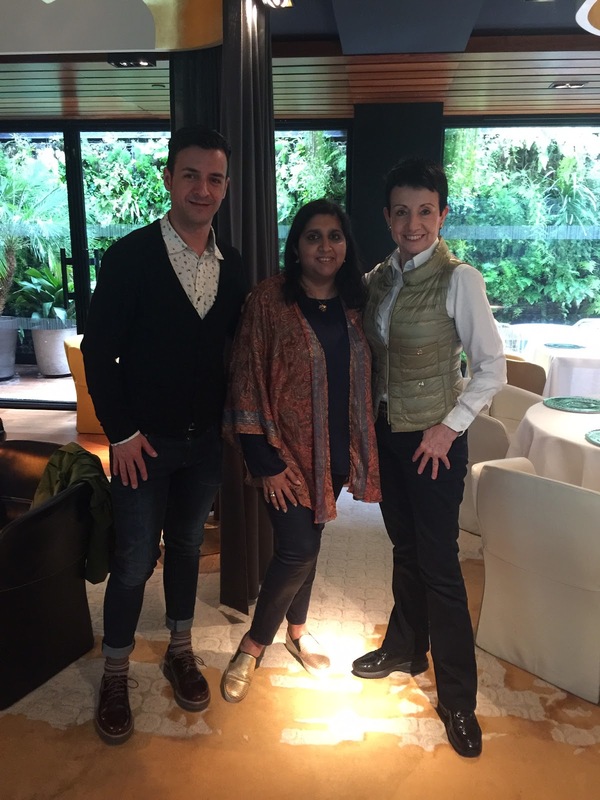 Carme Ruscadella: I am very thankful of the way it has evolved. I just took the restaurant opposite the house I was born, and everyone in the village thought I had gone mad. They felt sorry for me. I had a vision and brought it to where it is today. Our gastronomy gets enriched by our culture. I am also glad of the image it has thanks to Ferran Adria, his ways have sprinkled all over the world, I am thankful to the "adrianadas" . BB: How would you define your cuisine? BB: How do you feel working hand in hand with your mother? Raül B: In the beginning it was hard. I began in St Pau out of circumstances, and I fell in love with my job. My mom would expect more from me than she would usually. It wasn't easy, I also did an internship in Akelare and I went to Japan. Now I feel blessed to be working with her, we are accomplices. 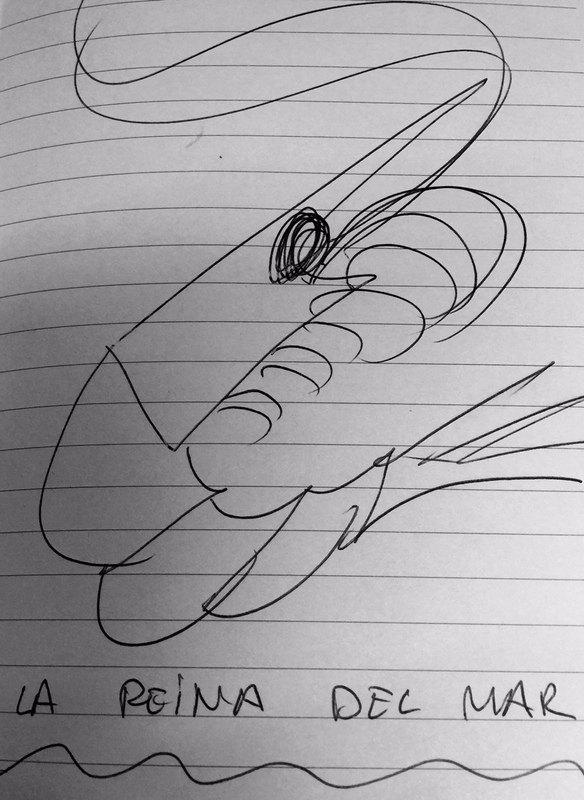 I am now in charge of Moments, we plan the menu together but Sant Pau and Moments have different menus. Even though the ingredients we use are the same; the vegetable, fish and meat are the same; the concepts are different, both restaurants have their own personalities. BB: What about the vegetarian options? Carme R: I am almost vegetarian and use a lot of vegetables in my menu. My father was an agricultor and we have been brought up eating a lot of vegetables. We get them from local farmers who grow them for us. Moments and Sant Pau will serve you an excellent vegetarian tasting menu. BB: Do you feel pressurised to innovate? Carme R. & Raül B.: We sell happiness. We work with illusion and want our clients to be happy; the only pressure is to see them happy. I (Raül) can see the people as well as they can see us ; seeing them enjoying their meal is my greatest reward. BB: What is for you the nouvelle cuisine? Carme R & Raül B: It is a step forward without leaving the tradition. It is freedom in the kitchen: subtle, pure and natural. It has to be original like for example our spherical egg yolk. BB: Where do you get the inspiration for your cuisine from? Carme R & Raül B: As we said before our cuisine is from the Maresme. I can't event consider it Catalan, a different part of Catalonia wouldn't prepare rice or potage the same way. Yes it has Japanese touches as we have Sant Pau in Tokyo. Sant Pau in Tokyo has almost the same menu as the one here in Catalonia; some of the ingredients and fish would be different as we use what is at proximity. I (Carme) go once a year there, but thanks to the internet we are in contact each day. Our head chef from Sant Pau goes there four times a year to organize each season's menu. Carme R. & Raül B. : If we open anywhere the concept has to be very clear. Quality has to be the final concept. We decided to open in Japan as the chef in charge there are is in harmony with our way of doing things. It isn't easy, we get a lot of offers but we need to be very careful. We may have some plan somewhere in Europe. BB: What about pop up restaurants? 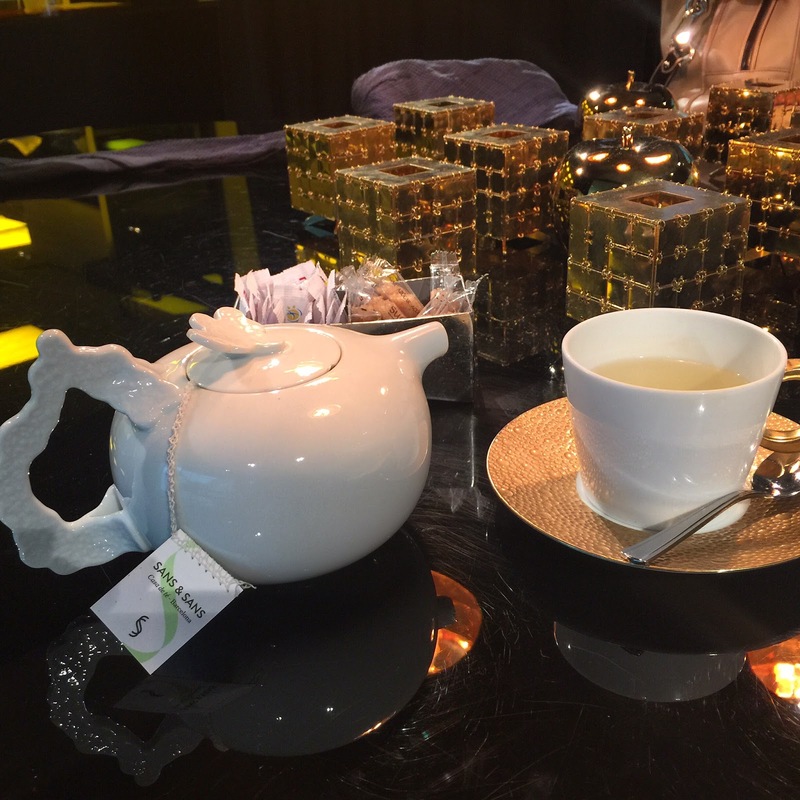 Carme R. : I am going to Bangkok next week to host a 3 day culinary event. It enriches both sides. (It was a culinary event from April 23 to 25). BB: What do you feel like eating right now? Carme R. & Raül B: Right now nothing. But I wouldn't mind rice for lunch as it is Thursday. It is tradition to have rice on Thursdays and we see that often our customers would order rice on this day. The tradition actually began as the service was off on Thursdays and it was easy for the "señores" to prepare a rice with all the ingredients left in the fridge as Friday was market day. Carme had to leave, so I chatted sometimes with Raül as we had tea and the most original and tastiest petit fours I have had. Thanks Carme & Raül for your time. 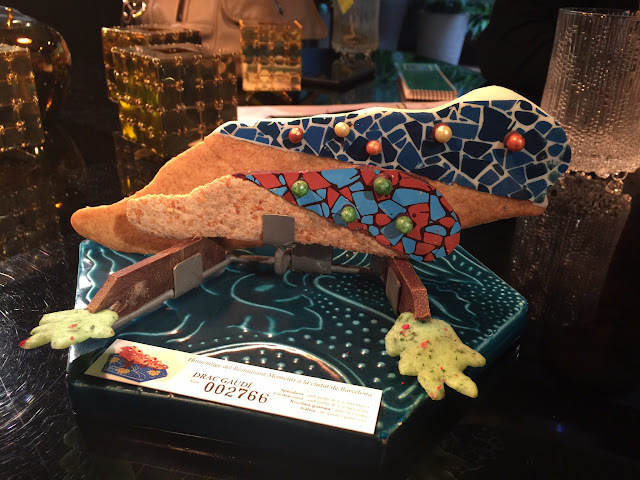 Petit four: The Lagarto from parc Guell! They are numerated and served with coffee after your meal. Exquisite and fully edible! The chic and successful duo! Carme Ruscadella and her son Raül Balam. You can't really appreciate the delicate artwork on this bookmark by Carme: it is a bookmark with cheese carte drawn by the multifaceted chef.